Keeping drains clean is an essential part in protecting your plumbing in the long run. Although some of the systems in our homes don’t require much regular maintenance, your drains are not one of them. It’s important to keep your drains clean and functioning to make sure that the overall health of your sewage system is where it should be. It will also ensure that the various components of that system will last the full amount of time that they should. Without maintaining a consistent habit of keeping your drains clean and functioning, you will likely experience more blockages. These range in intensity from the small clogs that you notice in the sink or shower to bigger issues that could affect your sewage system. Keep your sewage system functioning properly by ensuring that your drains are clear and free of clogs. 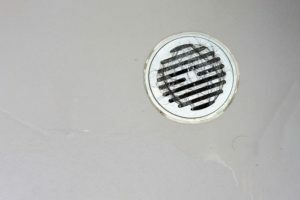 Once you notice that your drain is beginning to drain slower than normal, use one of the many available methods on the market to clear it before it becomes a bigger issue. Have you ever noticed the smell of mildew or mold coming from your sink or shower? You know that you keep your surfaces clean and dry, but still there’s a lingering odor that persists. That smell is probably coming from deep within your drains. Blockages in your drains and sewer system are difficult to reach and often require professional assistance. Those smells are directly related to the blocks and can be minimized by keeping your p-trap clean. When you keep your drains clean and functioning you minimize the occurrences of plumbing emergencies. These includes flooding and other instances that could make your home hazardous to your health. With regular maintenance, you can keep track of any lingering issues with your drains and sewage system, catching the problems before they become even bigger issues. Get ahead of the problems by keeping your drains clean and functioning. Maintain a regular schedule and keep the number to a good plumber on hand if you have any questions or concerns. Not only will this save you time and money, but you’ll feel a lot less stress knowing that you are maintaining the function of your systems. This entry was posted on Friday, December 7th, 2018 at 12:41 pm. Both comments and pings are currently closed.